My name is Sayward (say-werd), owner of Saynthings (say-n-things) and this is my baby, my beginning, my blog. 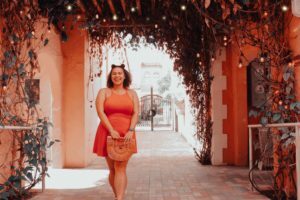 I started blogging back in August 2017 and I’ve really grown to love it. There are a lot of ups and down with it but I really feel like I’m growing every day when working with and on the blog. This blog has gone from an inspirational blog to a beauty blog, to a lifestyle blog to me driving myself crazy with what the niche should be for this dang blog. I love talking and connecting with people from all over the world. I talk about a lot of things that I love and that make me, well me. For example, one week I can talk about crystals and another week I can talk about some cool adventure I went on and the next week I’m preaching feminism and self-love. I don’t shy away from many things and those things end up on the blog. I think it’s cool you ended up here and our paths are now intertwined. I hope we get to connect soon! My socials are at the bottom and of the page. Thanks for reading so far, I appreciate it a lot and I hope you enjoy the blog!